FARSIDE CME: A coronal mass ejection (CME) blasted away from the farside of the sun on March 21st at 0740 UT. SOHO photographed the cloud expanding at 1550 km/s (3.5 million mph). The source of the CME is probably old sunspot AR1429, still active as it transits the farside. 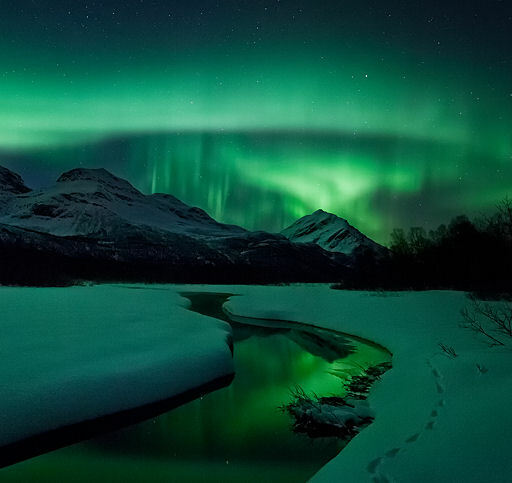 "It was an absolutely magic moment in a magic place," says photographer Ole C. Salomonsen. "The temperature was -13 C and I was almost alone: The tracks in the snow are from a fox which was there just before me. The auroras were mostly moderate, but at times they burst into strong lightshows, as shown above. It was a beautiful display." Aurora alerts: text, phone. "Unwittingly, using my ED80, I had photographed a supernova of magnitude +13.5 only two days after its discovery," says Mesonero. "I never expected the night to bring so many wonderful things." 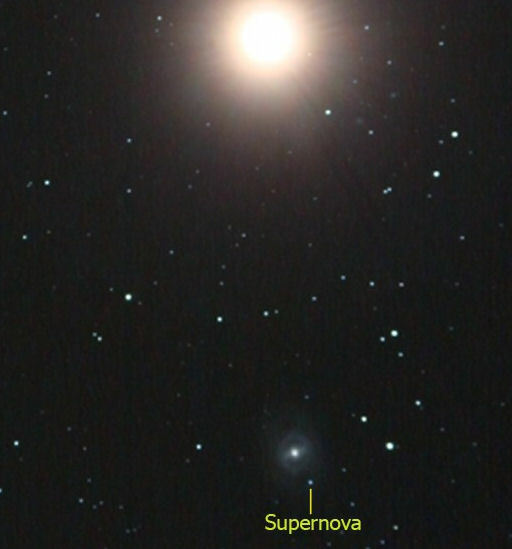 The rapidly brightening supernova is an easy target for mid-sized backyard telescopes equipped with CCD cameras--and it's easy to find only a degree south of Mars. Astrophotographers, now is your chance to catch a supernova in the act. On March 21, 2012 there were 1287 potentially hazardous asteroids.